All you need is the Internet—and a desire to learn! Seven Seas Cruising Association can help you learn the skills and acquire the knowledge that you need to be a successful cruiser. At Seven Seas U you can take courses online - no matter where you live. All you need is the Internet! With today's cutting edge technology, our instructors offer courses on the web that include presentations, video, sound and other multi-media and allow participants to actively engage with the instructor. Those that prefer to learn at their own pace can try our Anytime Learning modules that can be downloaded to a tablet device for offline viewing at your convenience - and you can still interact with the instructor via email. Courses are available on essential topics such as marine weather, communications, safety at sea, navigation, boat systems and maintenance. And cruisers from across the globe bring you insights into the cruising lifestyle and exotic cruising destinations. Seven Seas U uses the Webex platform for our live webinars. You must install the Cisco Webex plugin to watch a live webinar. For a mobile device, install the Cisco Webex Meeting app from the App Store. Visit the CISCO Webex Test Meeting website to setup your computer or mobile device prior to attending a live webinar. Seven Seas U is open to both SSCA members and non-members; however, SSCA Members receive a discount on every Seven Seas U course! Click on any of the green the member discount icons to get the current member discount code. We all love our pets, and we want them to be part of our life when we leave the dock. But how will THEY adjust to the cruising live style? How do we keep them safe and healthy in exotic locations? What medical supplies do you need to take that you didn’t need at home? Dr. Dave LaVigne prepares you to take pets aboard on a moderate to extended cruise. He recommends the medical supplies you need to take with you, which vary depending on your skill level, the length of your cruise, and the locations you will visit. He will present the bare minimum supplies to have on board and expands to an extensive veterinary medical kit. Dave also talks about the entrance requirements for taking your pet into various countries and how to prepare in advance, local and regional dangers for pets living aboard in tropical waters along with common health problems that might be encountered or even expected, feeding your pet on an extended cruise, and common sense pet safety. Discussion is mostly limited to dogs and cats as cruising companions. This webinar is presented in 3 parts, beginning Thursday, April 4rd and continuing on the following two Thursdays (April 11 & 18). If you cannot make all 3 sessions live, you will receive expedited links to the recorded webinars to keep you on track. Radar Made Simple for Cruisers shows you to use your radar to navigate with confidence and to avoid collisions with other vessels, land masses and many other obstacles floating around in your path. Radar helps you find your way in during the day when traffic is heavy, at night when it is difficult to see many obstacles, and in low visibility such as fog. Terry will show you simple techniques and tricks to determine how close a big ship will come to your vessel. You will learn how to apply the 3-minute and 6-minute rules to quickly estimate how soon a contact will close on your position, so you can make a timely collision avoidance maneuver. Radar is a valuable asset on your boat and you should not head to sea without one aboard and knowing how to use it, especially if you are heading to a location where the charts are poor. This webinar provides you with the techniques and examples in a format that everyone on board can understand. Most professional mariners agree that if they could only have one instrument onboard it has to be a radar. GPS only tells you the way it should be, radar tells you the way it is. AIS tells you about those ships that are broadcasting their information and tells you nothing about other obstacles. Before you leave the dock, implement risk management by using proper planning. Capt. Rahm has adapted the military’s risk reduction process and customized it specifically for sailing. This seminar will improve the way you make decisions, prepare for sailing, and operate your boat. Topics include equipment, docking, crew coordination, crew overboard, weather, route planning, and more. You owe it to yourself and your crew to login and get the odds stacked in your favor. The Happy Hooking - The Art of Anchoring webinar is loaded with valuable information on anchoring tackle, anchoring technique, tying up and rafting, and anchoring etiquette. Just like knowing how to stop your car before you start is perhaps the most important part of driving, Alex and Daria Blackwell feel that anchoring is perhaps the most important skill you can and should acquire in boating. Anchoring a boat can be a lovely dance in a harbor, or a painful and often embarrassing display of a crews inability to plan or communicate. Alex and Daria endeavor to help you find a combination of tackle and technique best suited for your circumstances when anchoring your vessel. By outlining how different anchors work, the pluses and minuses of different pieces of equipment, the current thinking about how to deploy this equipment, and how to select an anchorage, they arm you with enough information to make some informed decisions about what might work best for you. After years of dreaming, in 2007, Rich Boren and his family left Santa Barbara and set off to join the Baja Ha Ha Cruisers rally from San Diego, CA to Cabo San Lucas, Mexico. During their 4-year cruise, they kept detailed records of everything they spent, including provisions, restaurants, drinks, fuel, routine maintenance, emergency repairs, spare parts, entertainment, laundry, insurance and home schooling supplies. Not every year was the same, but Rich will share how to have a great time by making sensible choices. Rich will answer common questions such as” Does boat size matter? How do I select local brands to save money? How do I budget for boat maintenance and emergency repairs? Rich tracked every dollar spent and will review his monthly budgets and share tips in order to help give you the confidence that it’s not only safe to cruise Mexico, but that you can afford to do it as well! 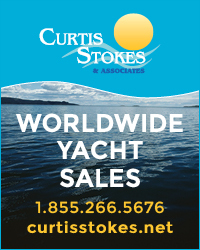 Whether sailing offshore, or across the bay, there are so many things you can do to your boat that you never heard about before attending this webinar! Pam Wall will take you from bow to stern on a boat she and her husband built. Their new boat was the culmination of many years of sailing in a 30-foot boat from Australia to Florida and on a trans-Atlantic honeymoon. These sailing experiences gave them the knowledge of what the perfect boat would need for sailing with a family on a seven-year Circumnavigation. You will have fun learning from Pam's stories, photos, and handouts, that demonstrate what an offshore sailing vessel should be. You will enjoy Pam’s energy as she delivers her perspective on how to make your boat more efficient, safer, and more fun! Scott takes an alternative strategy to planning your electrical systems. Scott is an ABYC Certified Master Technician, an EPA Licensed HVAC Tech and a lifelong boater with 5 decades of experience on a range of vessels from el Toro prams to a 135’ Baltic Trader. He will share his thoughts on living off the grid in comfort by establishing your needs and wants and then building an electrical system that will support those choices efficiently and reliably. The presentation will focus on refrigeration, water-makers, radios, computers, and all the ‘necessities' of a modern cruising life and how to support them with storage batteries and charging systems. Topics will include battery chemistry, solar panels, wind generators, battery chargers, and more. Several webinar recordings are free to SSCA members and non-members. 1. Click on a REGISTER button above. Note that the price shown on the screen that opens does not include your SSCA member discount, that will be applied soon. 2. Click the blue Register button on the "Link Status" line. 3. Enter your First name, Last name and Email address in the text boxes provided. 4. Enter your email address a second time in the Confirm email address text box, and then click the [Submit] button. 5. On the payment information screen, enter the SSCA Member promotion code in the box provided and then click the [Apply] button. If you are not a member, leave the field blank. 6. Click the PayPal Check out button, and complete your payment at the member discounted price, if applicable. 7. Once the host approves your registration, you will receive a confirmation email message with instructions on how to join the event. 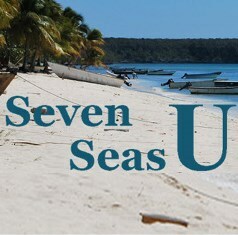 For questions or to be added to the Seven Seas U subscriber list, email Administrator at Seven Seas U.